A heavyweight contender in the automotive world, the Audi brand is synonymous with luxury, performance, style and quality. 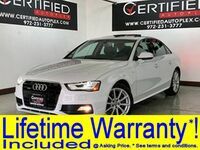 When you choose the popular Audi A4, you will enjoy a spirited performance and an athletic design at an affordable price that is made even more attractive when you shop for pre-owned luxury cars at Certified Autoplex. 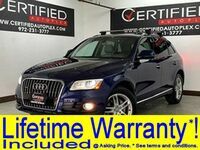 Drivers who are drawn to an athletic demeanor, opulent luxury, innovative driving technology and affordable prices can get behind the wheel of a used Audi A4 in Carrollton, TX at Certified Autoplex! Perfect for the luxury car shopper who does not want to spend a fortune, the Audi A4 is a world-class entry in the compact luxury car segment that promises the perfect blend of power, fuel economy, luxury and affordability. 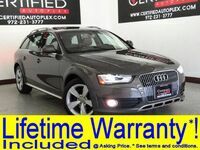 Available in sleek sedan, power-packed Audi S4 and adventure-driven Audi A4 Allroad® variants, the entry-level Audi model is a fan favorite. 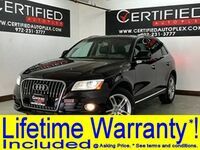 When you add affordable pre-owned prices, low mileage and a lifetime warranty to the equation at Certified Autoplex, you cannot go wrong with a used Audi A4 in the Dallas-Fort Worth area. Are you looking for a performance-tuned sedan that will take you from zero to 60 mph in a heartbeat? Are you drawn to supreme luxury and unrivaled comfort that goes hand in hand with innovative technology? 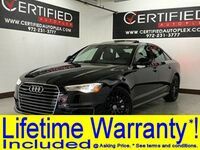 With the added advantage of an affordable price tag, a used Audi A4 in Carrollton, TX at Certified Autoplex will check all the boxes. 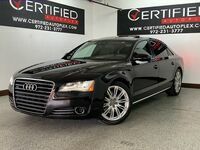 A cut above the Audi A3, pre-owned Audi A4 models will take luxury and performance to the next level. Stock Audi A4 models feature a fun-to-drive 2.0-liter turbocharged power core that can be upgraded to a more powerful variant for the Audi A4 Allroad® or a supercharged 3.0-liter V-6 power core for the track-ready Audi S4. Audi Quattro® All-Wheel Drive is a signature feature of the Audi A4 spec sheet that provides an instant upgrade in performance. When you choose a pre-owned Audi A4 at Certified Autoplex, not only will you enjoy unrivaled performance and luxury, you will benefit from next-generation technology. The Audi MMI infotainment system with Audi Connect® technology promises one-touch access to music and information via a vivid touchscreen display. Additional highlights of the Audi A4 include premium leather interior, heated and cooled seats, a power sunroof, Wi-Fi capabilities, a premium Bang & Olufsen sound system, navigation technology, advanced safety systems and much more.